The prevalence of people suffering from chronic pain is extremely high and pain affects millions of people worldwide. As such, persistent pain represents a major health problem and an unmet clinical need. The reason for the high incidence of chronic pain patients is in a large part due to a paucity of effective pain control. An important reason for poor pain control is undoubtedly a deficit in our understanding of the underlying causes of chronic pain and as a consequence our arsenal of analgesic therapies is limited. However, there is considerable hope for the development of new classes of analgesic drugs by targeting novel processes contributing to clinically relevant pain. 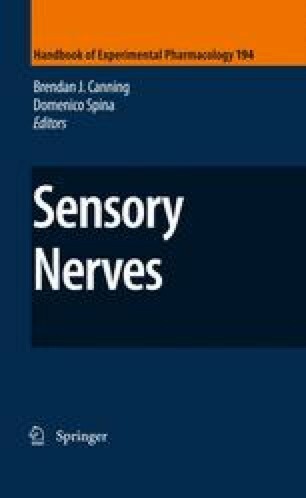 In this chapter we highlight a number of molecular species which are potential therapeutic targets for future neuropathic pain treatments. In particular, the roles of voltage-gated ion channels, neuroinflammation, protein kinases and neurotrophins are discussed in relation to the generation of neuropathic pain and how by targeting these molecules it may be possible to provide better pain control than is currently available.